We offer many support services to help you implement your capitalization plan, grow your business, and overcome operational challenges. Some services are standard consulting processes for achieving specific results. Others involve highly customized approaches by experts in specialized disciplines. All are built on the business model, fiscal visibility, and accountability supported by your dynamic financial model. How is your business extraordinarily better than your competition? If your marketing messages are not as effective as you’d like, spend a few minutes thinking about the question above, and jot down your top three answers. Then, rate your answers from the perspective of your target customers based on the criteria described below. Now, rate each of your answers from 1-5 (5 is best). What’s your total score, and what does it mean? Does your score reveal an icy wellspring that can be tapped to satisfy parched markets, does it taste like a mouthful of sand, or do you simply wish your answers made your business sound more interesting and unique? Every business possesses a unique combination of passions, strengths, and capabilities. 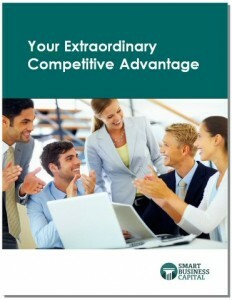 Yours contain the DNA for achieving extraordinary competitive advantage and business success. Your company’s unique strengths should be a focal point in your marketing messages, business operations, and customer experiences. This will effectively differentiate you from your competitors. How do you discover your unique strengths to rise above your competition and achieve extraordinary results? 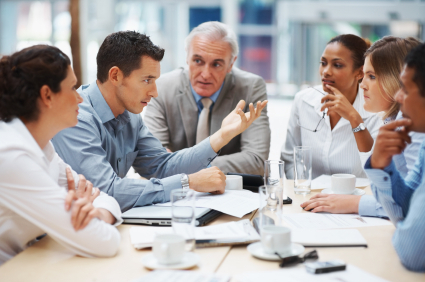 We have developed a unique consultation process that enables companies to discover their most compelling, enticing, and credible strengths, and create powerful messaging thatis woven into the fabric of their marketing materials and business operations. 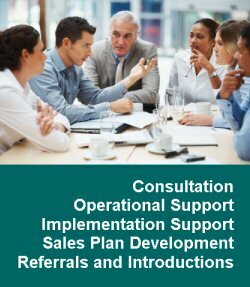 This powerful program helps establish the right competitive focus for creating a detailed marketing plan. Our detailed marketing plans are developed by marketing experts with proven abilities to deliver the results contained in the plans they create. Each plan includes an evaluation of the client’s primary and secondary market environments, market segments, trends, competition, products and services offered, and company strengths, weaknesses, opportunities, and threats. We then identify primary and secondary marketing and sales objectives, describe key strategies including competitive differentiation, pricing, distribution, and promotion. Lastly, marketing plans contain a detailed ground-level implementation plan, including media utilization, budgets, schedules, duties of marketing team members, and results tracking systems and methods. Our dynamic financial model contains what we refer to as a marketing plan superstructure, which is a mid-level view of the marketing initiatives and metrics that drive the growth of your business. This approach gives operational latitude to test and adjust marketing activities within the structured parameters of budget, schedule, and expected results. It also provides a reasonable basis for investors to make a capitalization decision, though many implementation details are often finalized after funding. 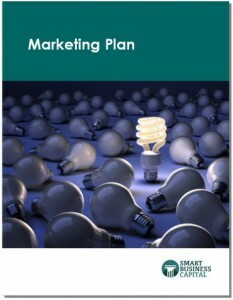 Your marketing plan contains the specific details of implementation. Professional marketing service firms often speak in terms of ROI on a company’s marketing investment. However, they don’t have the data to show what the comprehensive impact of a specific marketing plan will be on the business or the company’s bottom line. This highlights an important benefit of our integrated approach to dynamic financial modeling and detailed marketing plan development. The marketing budget, schedule, and results in your marketing plan are designed to integrate seamlessly with your dynamic financial model, so you will get a complete picture of how changes in your marketing plan will impact personnel requirements, expenses, cash flow, net profit, and more. This is a far more effective way to project, plan, measure results, and manage performance to grow a business than simply monitoring how much revenue your marketing budget delivers. It gives powerful insight to small companies, enabling them to optimize the relationships between marketing and all other business operations in a way that is unparalleled in the marketing industry. Developed a training and mentoring program that enabled a manufacturing company to grow by 43% in a 2-year period while the industry was declining by 78%. 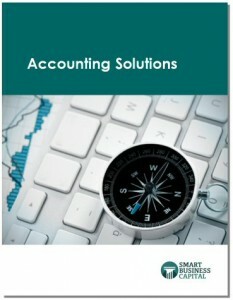 Enabled multiple professional service providers with stable revenues to double their profit margins within 6-12 months. Advised a well-established technology company contemplating its sale on solutions for turning a 12% loss into a 17% profit, leading to the decision to make changes and keep the business. 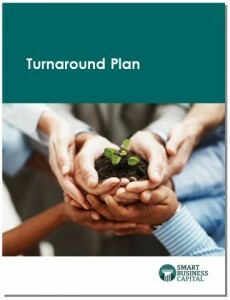 Helped a manufacturing company optimize its processes to turn a 20% loss into a 10% profit within 6 months. Helped a declining service business evaluate and enter a new market that within 6 months was generating 33% of all company revenue in a growth industry. The collection, retention, and analysis of critical financial data are essential to properly guide a company’s forward momentum. Business owners and management personnel need timely and accurate financial data in order to make informed business decisions. Smart Business Capital has developed and standardized processes and procedures to capture business activity and design reports that provide its clients with this data. Our solutions are primarily aimed at startups and are built on a QuickBooks platform. They make reporting of company financials quick, and allow you to respond to new opportunities for financing business operations, ease tax reporting and handle investor inquiries with minimal questions regarding the correctness of your information. Contact us to learn more about specialized business development services to accelerate and sustain the growth of your company.